One size fits all, just pull the knots on the cord and it will expand and fit over your head. 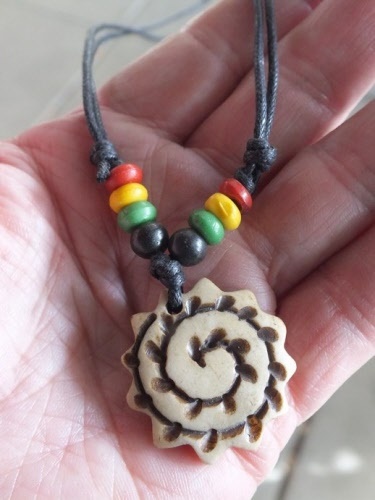 Then just pull the knots to adjust your pendant to where you want it to sit. These are so popular with the 10 to 20 year olds but people of all ages buy them. At just $6.00 each you can't go wrong. These are all the rage at the moment. 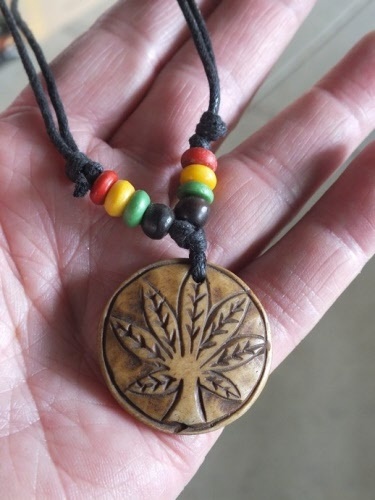 Necklace with adjustable cord, one size fits all. 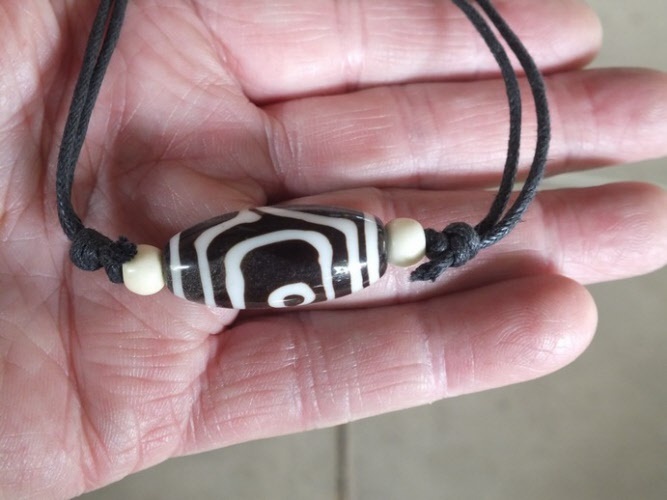 Just pull the knots on the cord then slip it over your head and pull the knots in the other direction till you have it where you want to wear it. 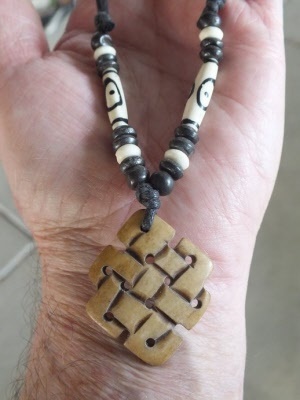 This one is the Endless love knot design. 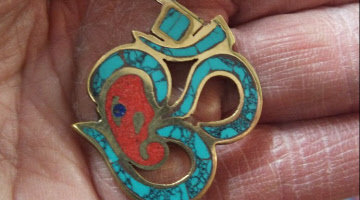 Sanskrit Om Sign With Ganesha. 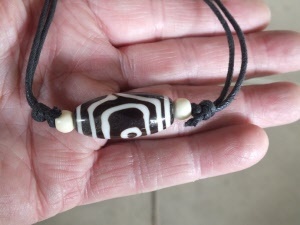 This one is the Dzi Bead protection bead. 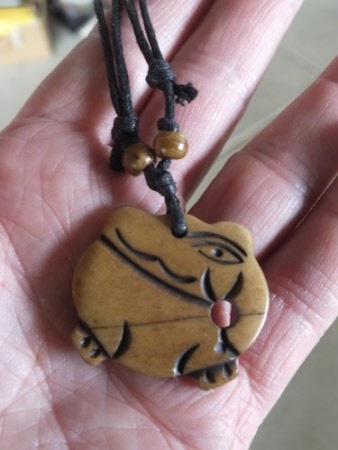 Charms for good luck, success, long life and more. Mostly on pendant to wear with you always. 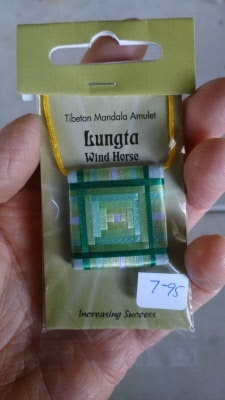 Mandala pendants, car hangings, everything for good luck and protection. This one is the Yin Yang design. 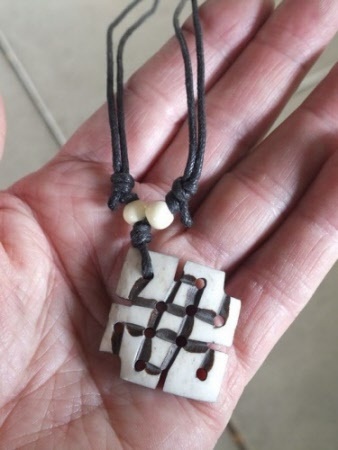 This one is the Endless love knot design in white. Buy one for yourself and one for the person you love. This one is the Nepalese Yoga design. 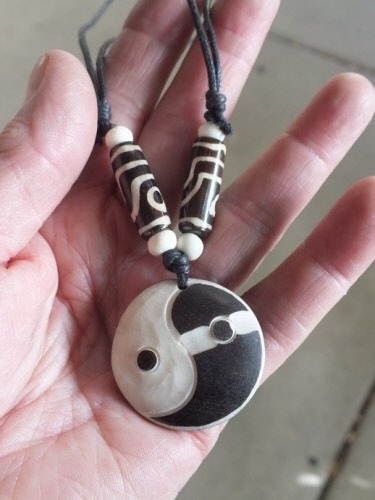 This one is the Yin Yang design large pendant. Centre yourself. 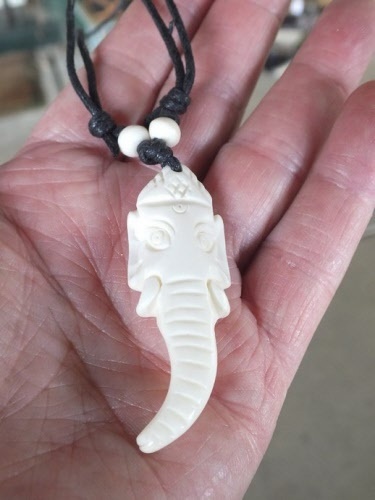 This one is the Ganesh White Elephant Good Luck pendant. 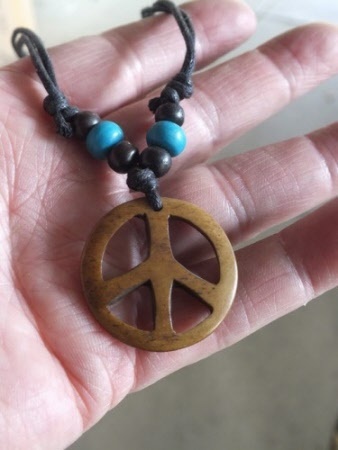 Peace sign / promote peace everywhere you go. Make love not war! 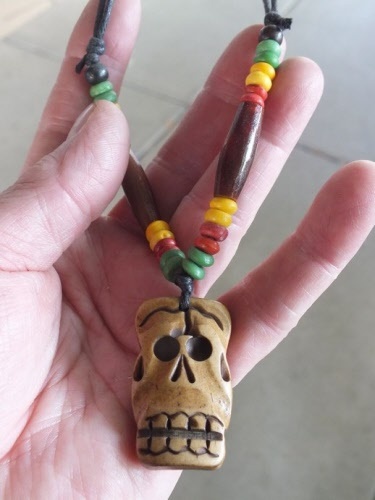 Skulls are a sign of impermanence in Buddhism. 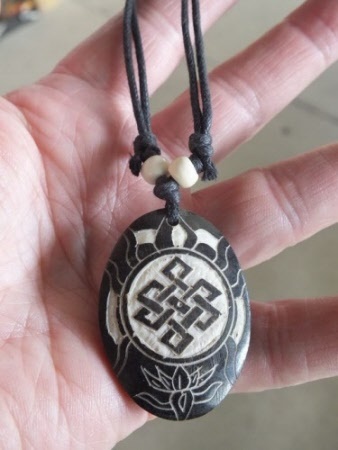 This one is the Endless love knot design with the Lotus Flower also. 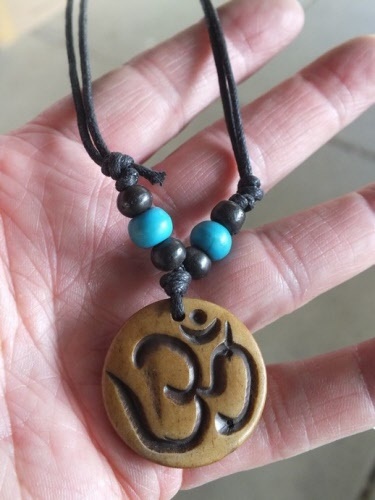 The Om symbol, believed to be the original sound or vibration in the Universe. Holding everything together, often chanted by Buddhist and Hindu people alike. 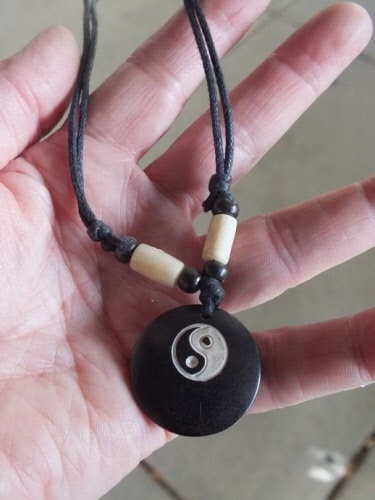 Many Yoga practitioners wear this symbol. It is a Sanskrit language sign from India. Styles / design may vary slightly due to changes in stock. 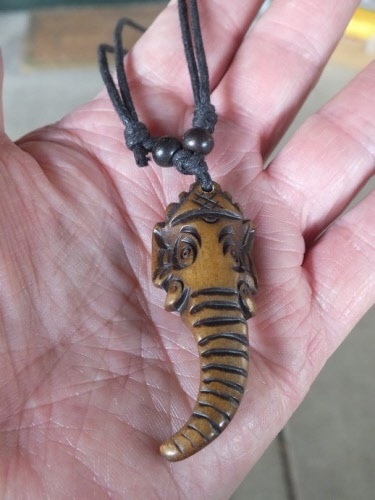 Ganesh is theHindu half human half elephant God of wisdom and learning.